Caps Basketball: The Nature Boy Eric Flehr And The Caps Chop Lightning WOOOOO!!! 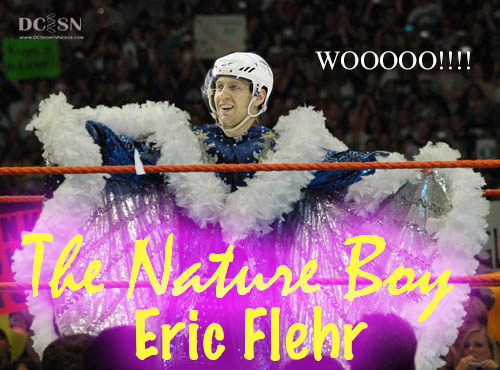 The Nature Boy Eric Flehr And The Caps Chop Lightning WOOOOO!!! Ice skatin, goal platin', game sealin', wheelin, dealin, stylin & profilin' son of a gun! The Caps began the game with their best start of the season. A perfectly executed powerplay filled with great passing gave the Caps Troy Brouwer an easy goal. It was the Caps best PP of the season, and possibly their best overall team offensive play. The Lightning fired back a few minutes later but the red hot Eric Fehr, Or Eric Flehr as I will call him from this moment on (WOOOOOOOO!!!!!) scored a goal in his second straight game in the 2nd period. 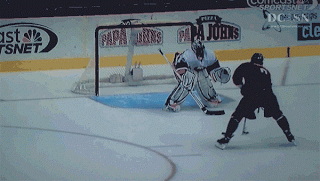 Then the Nature Boy picked up another goal to start the 3rd period. To be the man, you have to BEAT the man! Jay Beagle gave the Caps a commanding 4-1 lead after a strange non-whistle on a goalie freeze allowed Beagle to use his stick to knock the puck out of the Lightning goaltender's glove and into the net. There were 12 and a half minutes left, but the game was far from over. The Lightning couldn't cash in on a powerplay but a short time after Tedd Purcell scored one for TB. 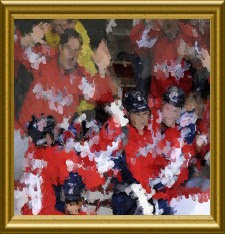 Then, after a Braden Holtby failed pokecheck on a Lightning breakaway, the goal for the Caps became escaping alive. Tampa led a fierce net rush, but with several Caps Icings and some nice Holtby saves, the Caps escaped with the win. Matty Perraeult finished the game with 3 assists.